Rusev might not be a happy camper right now or at least that’s what he wanted fans to think for a bit. He lost the WWE United States Title to Shinsuke Nakamura tonight and it happened during the kickoff show. To top it off, his wife took a bump off of the apron in the process. Suddenly, those tweets disappeared and luckily we were able to snag proof of what he pulled off. He replied again talking about how easy it is to troll fans. It might be hard to believe Rusev is unhappy if it weren’t for the fact that The Revival are still sending out cryptic tweets. 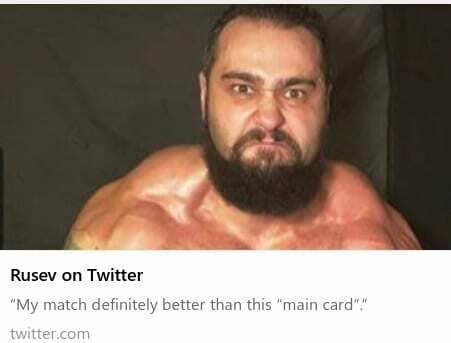 Good one, Rusev. Adding “WCW” was a nice touch.